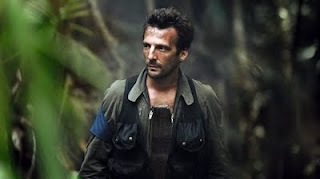 Kassovitz chooses to tell the tale in a straightforward manner, moving through the events with a strict timeline, chronologically, moving between the hostages in Polynesia and the politicians in Paris. He also takes a single and definite position on events, both playing and sympathising with Capitaine Philippe Legorjus, the GIGN negotiator hamstrung by politics and gung-ho army officers. Kassovitz is firmly on the side of the liberals, seeing the attack on the hostage takers as clumsy, the violence unjustified, and the results as a scandal. Stylistically, the movie is similarly straightforward - the only innovation a very elegant and subtle flashback scene where a hostage explains to Philippe how the initial kidnapping took place. All that seeming straightforwardness should not detract from the genuine power of the film. It was utterly compelling - had me on the edge of my seat - even though I had been forewarned of the conclusion. Even when it turns into a military thriller in the final segment, the movie never looses its profound concern with the politics of imperialism and the expediency forced by the electoral cycle. REBELLION played Toronto and London 2011 and opens in France on November 16th.